This includes one-time mandate with block functionality, an option to link Over-Draft (OD) account, Invoice in the Inbox, Signed Intent / QR and it has finally increased the UPI per transaction cap to 2 lakh. With this feature, a consumer can pre-authorise a transaction and block the funds in his account for a debit to be initiated later. UPI Mandate can be used in scenarios where money is to be paid later after obtaining the service; however, the money in the account gets blocked instantaneously. The customer’s account shall get debited when the UPI Mandate is executed by the merchant or payee. The mandate is digitally signed and stored at customer’s account holding the bank and also with customer’s PSP bank (app providing bank). During the debit, the customer’s account holding bank and customer’s PSP bank need to validate the digital signature and verify the parameters. Currently, savings and Current account addition is permissible in UPI. Now, with this additional feature, the user can also link an overdraft account provided he/she is found eligible to avail an OD by his/her bank. For any OD accounts, whenever a customer needs to check the balance of his OD account, customer’s bank shall return 2 balances i.e. available & actual/usable balance. All UPI Apps need to display the same. Using this feature customer can check/verify the invoice or attachment prior to authorizing the payment via a secure link received in the collect/intent message. To start with, the facility can be availed by verified merchants. The signing of Intent / QR provides more security while making payment by the customer. Banks shall convert software based UPI QR codes (dynamic and static) by December 31, 2018, and physical UPI QR codes (static) by March 31, 2019. 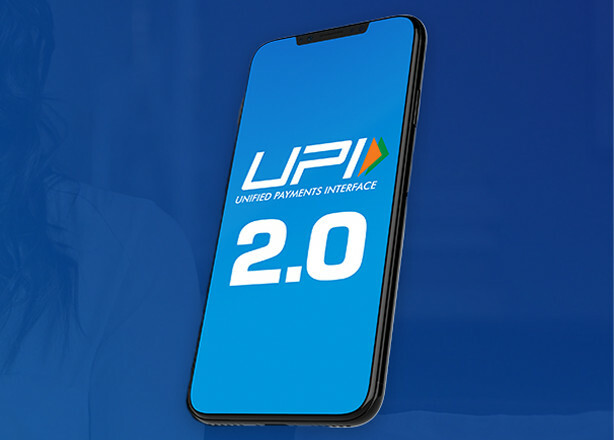 UPI 2.0 members include State Bank of India (SBI), HDFC Bank, Axis Bank, ICICI Bank, IDBI Bank, RBL Bank, YES Bank, Kotak Mahindra Bank, IndusInd Bank, Federal Bank and HSBC.